If you get my newsletter, then you already know the news but it seems that approx. 97% of you who are subscribed to my newsletter haven't opened it yet so I thought I 'd meet you here. Almost six years ago I created and taught an online and in-store workshop called 52 PickUp based on 52 weeks in one year and creating a card per week (or 4-5 per month) with a verse, quote or focus word to use as a reminder to ourselves and for others of something we might have already have known, just forgot to remember. One year ago I started something new called Documented Faith Mixed Media Monthly combining all the above and adding in the finished cards so that those who either did not have time to create or simply did not want to create could just download, print & cut. Without trying to confuse you, all of the above will be one year long online see-paced workshop starting January 1, 2019 where you can do all of the creating yourself OR do none of the creating and just print & trim! A Color PDF download of that months 4-5 art cards for you to print out and create on. In addition to the monthly email packet, you will also receive a PDF download of "52 Moves" which are 52 exercises that you can do at home or along side me each Thursday via YOUTUBE. More on that soon! The RIGHT NOW price is $52.00 for the entire year (That is $1.00 per week) AND you will receive access to all of 2018 Documented Faith Mixed Media Monthly so that you can go back and print out those finished cards or re-create them. IF YOU ALREADY SIGNED UP FOR DFMMM2019, YOU ARE ALL SET. IF you do not want to create "faith based" cards, I encourage you to still join in because there will also be encouraging quotes that will be included in each months packet. The supplies are basic. I will be including a general supply list but always encourage you to use what you have. IF you do not want to create anything, all of the finished cards are available for you to print, trim and use. You do not have use the "52 moves" but I will always encourage you to move your body in some sort of way. Week one begins January 1, 2019. This entire process makes it easy for those who don't want or have time to create but still would like the finished cards to have and makes it super fun to do in a group that creates together! Let's create through another year together! I look forward to creating together in 2019! It is all good regardless of how hard things become but some of what happens is impossible to explain or put into words. It's none of my business what other people think about me. Now, in all seriousness, between the hours of 4:30am and 4:00 pm I am all good with number 2 above BUT when it is the end of the day, it is dark by 5:30 and I am tired...well....that's when the self talk and thoughts come creeping in. I know this about me (as do my people) so I know better than to start thinking but man, I am human and so that is EXACTLY when I have to start remembering what I already know about truth. Early in 2018 when I read “The Wellness Revelation”, there was a shift. When I went through the study online with a small group, it continued to shift. When I got on the plane, got on a bus and got to the instructor training retreat I was expectant without knowing what to expect. I showed up, did the work and stayed authentic regardless of how tired, emotional, wrecked and stinky I was. When I got out of my own way and gave God complete access (psst..surrender) everything changed. Earlier in the week, I also mentioned via weekly newsletter and in the Documented Faith Facebook group that Documented Faith is changing. As you may have noticed, I have been going through some changes in the way I live & create and I am going to be sharing, encouraging and hopefully inspiring you to walk along side me whether it is in real life or from a computer screen. It is shifting and transforming. I am being obedient to God and trusting that HE will do the work in and through me as long as I just stay out of His darn way. I simply complicate the process and a few months ago, June 11, 2018 to be exact, I surrendered Documented Faith over to Him because I know, His ways are better than my "plan" of what I thought it should be. I did not know exactly what that all would mean, but I sure did feel confident and a sense of freedom (the peace that only He can provide) in surrendering it until July 5th, when I lost my Instagram account and what I believed to be my connection to you. I understand now...almost 5 months and 17,000 less "followers" that it was part of the stripping down process. Yes, I am still fussy over it but am equally confident that HE is my reach to you. For me, creating whether on a scrapbook page, canvas, art journal or Bible has and will always be PURPOSE over product. That alone has helped me stay focussed and aligned on WHY I am doing what I do, otherwise I get distracted and shift my focus sideways to see what everybody else is doing instead of looking UP. With that said, I will no longer be designing any new product for Documented Faith/Adornit. There is PLENTY of Documented Faith product still available through ADORNIT.com and I am sure they have some incredible things planned for Black Friday, Small Business Saturday and Cyber Monday! You know me...I have always said, "use what you have" but I just could no longer keep filling the pipeline with "more new stuff" when there is plenty for us to use..and I mean it people..I am not the boss of you but if I was, I would say USE IT and then buy more. I am and will continue to document my faith in the margin of my Bible but am also documenting in a Moleskine Journal as well as blogging about it and creating more and more mixed media to express myself in ways that are deeper, more meaningful and best of all, transformational. I am excited for this continuing adventure and sure hope that you will continue to share, encourage and inspire with me. I know this post is like a pin ball machine going from this to that...but you know me by now and well, if you are still here than you really know me! FIT= healthy and whole in heart, soul, strength and mind:creatively, relationally, mentally, physically and spiritually. Showing up, doing the work and just being you..the real you. Let’s seek spiritual obedience so that we can have physical discipline. I am excited to share TWO new offerings today. I know maybe I should have waited to release one and then the other but I am going for it because I have a feeling that you will love each one for what they are. First, my Christmas collaboration with Love Squared Designs. This Limited Edition Choose Joy GIFT SET is a collaboration with my dear friend and faith inspired artist Lisa McKenney. We hope you enjoy these reminders to choose joy every day! Coupon code: Free shipping (US) when you buy 2 or more! The second offering today is the 2019 "Just Add Stitches" Christmas Stamped Sampler! I have not even had a chance to get one on a hoop and stitch but I plan to sit and stitch on Thanksgiving and will be sharing my progress with you via Instagram. This sampler is actually one giant 9" x 13" handcarved piece that I carved just this week. You can leave it just the way it is or dress it up with lots of stitches. YOU decide. There are a limited amount that will be able to go out in time for you to stitch on Thanksgiving so be sure to order before they are gone! All orders received will be printed, processed and sent out by Monday, Nov. 19th. At the beginning of 2018 Lisa suggested the book "The Wellness Revelation" by Alisa Keeton and I read it. I read it and highlighted more parts than in any other book I had ever read. Then I joined an online study group hosted by Emily Thomas and reread it again, using a different color of highlighter. Again, so many highlights and even some moments of "revelation" (no pun intended) where I actually spilled my coffee all over a few pages. I don't want to go into all the instagram drama but if you want to read a little about it, you read about it go here. spoiler alert: I did NOT get my account back. I have only been home for 4 days so I am still decompressing and working through all of my thoughts, but man...it was and is so good. SO GOOD. Just like I say about retreats. It is hard to put into words, but they will come..but guess what? While I was gone to Arizona and without computer access, I got an email from Constant Contact that I had to call them because my account had been compromised, someone had hacked into my account, dumped ALL OF MY CONTACTS OUT and had taken over the account. okay, so of course, there is much more to all of this which I will continue to share but here is the really exciting part! I am NOW officially a "Revelation Wellness Instructor" and will be starting out by hosting an online 9 week book & Bible Study via Zoom. UPDATE: GROUP ONE IS FILLED (thank you!) If you had your name on the interest list, please look for an email from me. Last week while I was gone for my Revelation Wellness Instructor training, my email account through Constant Contact was compromised as well as my regular email. Luckily, CC caught it as it was happening and shut down and froze my account BUT as we just got finished rebooting my account after a LONG DAY of trying this, that and the other.. it appears that MANY of your emails are in a bulk group and either not in specific lists or are on the "unsubscribed" list (insert some sort of mad/bad/sad emoji face) therefore I NEED YOUR HELP. I have to re-generate a brand new email list (insert girl with hand over her face emoji) and this is going to help re-build my newsletter letter list. 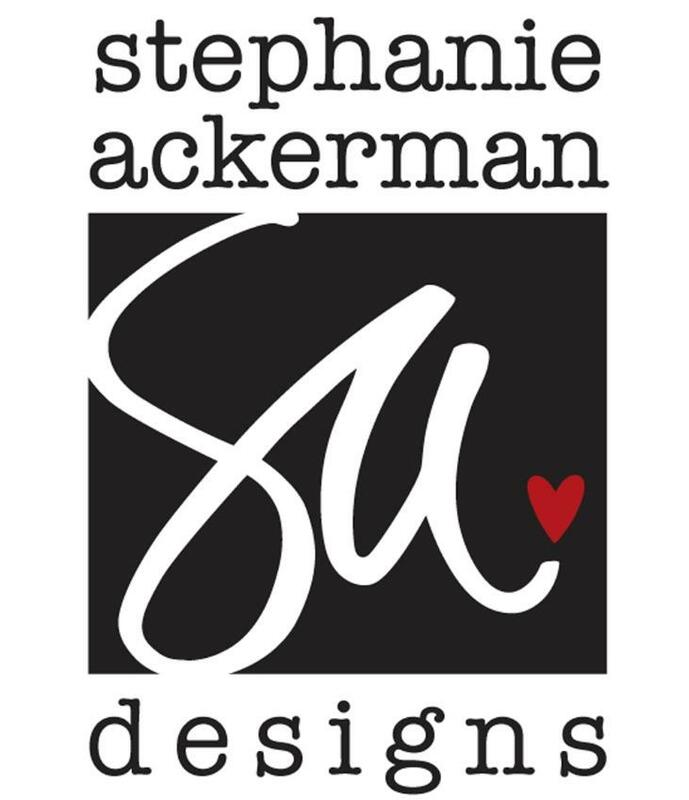 Because I lost connection with MOST of you after I lost my Instagram account in July (which by the way, CC says is "probably" not a coincidence) I sure would appreciate it if you would head over to Instagram and look for me at: stephanieackerman1 and follow me. I wish I had "something to "give you" in response to doing these two things, but I only have gratitude and thanks to give. For hanging in there with me, being patient while these things get untangled and for your love, support and sweet messages.